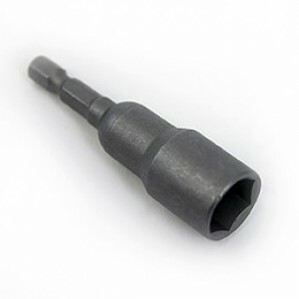 The Blue Diamond Screw Pegs Pro are one of the most convenient awning/tent pegs on the market; they can glide through ground. 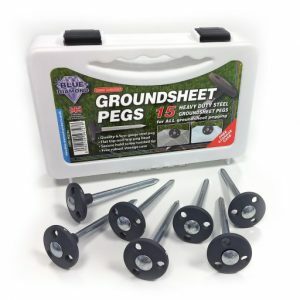 The Blue Diamond Screw Pegs Pro are one of the most convenient awning/tent pegs on the market; they can glide through ground much easier than many alternative pegs, plus, with the Screw Peg Drill Adaptor optional extra to simply drill-in the pegs for minimal effort when pitching. 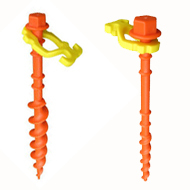 The pegs are solid and robust, with a tapered steel spike, making them ideal for use within hard or shaley ground. 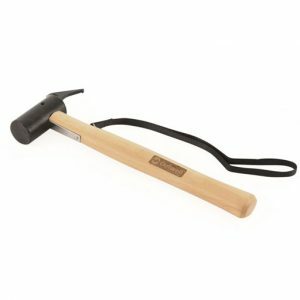 This accessory is produced from a durable steel and incorporates a corkscrewed shaft for additional grip; each peg also has a 13mm bolt head and a heavy-duty plastic head to firmly grip guylines. 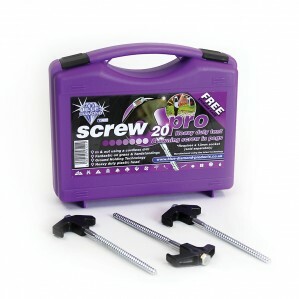 Comes complete in a standard black/silver colourway and inside a robust plastic storage box, with a handy integral carry handle and 20 pegs per case.